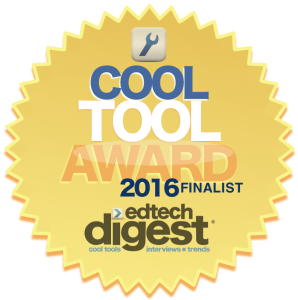 Scholastico’s parent teacher conference solution, Scholastico PTC, has been named a finalist in the 2016 EdTech Awards, sponsored by EdTech Digest. PTC was nominated in the category of parent-student solutions. Scholastico has four products: solutions for parent-teacher conference registrations, after-school activity and extracurricular signups, secure school elections, and student-teacher feedback surveys. Scholastico PTC, the finalist for Cool Tool 2016, is specifically designed to solve the challenge of organizing parent-teacher conferences. In many schools, organizing the parent-teacher conference day is a source of frustration for parents, teachers, and school administrators. The founders of Scholastico saw this first-hand at the schools where they worked. School offices were wasting hours putting together complex spreadsheets to organize the day. Teachers were fielding individual email or paper conference requests from the parents of their students. We designed PTC to streamline and simplify the process of signing up for parent-teacher conferences. With Scholastico PTC, the office can set up the day’s timeslots and options in minutes. Parents simply click a link in an email that is sent to them and are automatically signed in. The system knows their children’s schedule and allows them to sign up for a time to meet with each of their child’s teachers. Teachers can see their schedule for the day so that they can prepare to meet with the parents. Parents and teachers can view their schedule online, save it as a PDF, or print it out on paper. The entire interface is designed to operate beautifully on any screen, whether computer, tablet or phone. This entry was posted in Parent Teacher Conferences and tagged awards, EdTech, PTC. Bookmark the permalink.